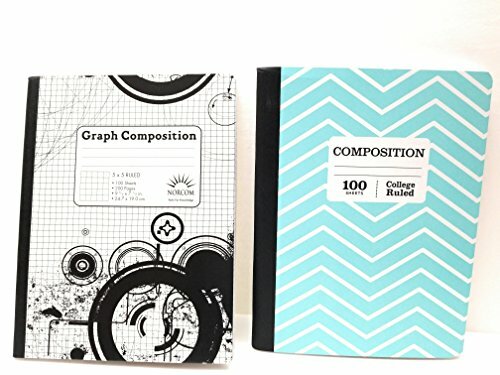 Stay organized at school or home with the Norcom composition notebook. The sewn binding of this wide ruled book makes it durable enough to travel from home to school all year long. It's ideal for creative writing or journaling your thoughts. Fun primary colors, the composition book helps you stay organized with a different shade for every topic. Each notebook holds 100 sheets of paper, enough to fill a semester's worth of notes. View More In Graph Paper. If you have any questions about this product by Norcom, contact us by completing and submitting the form below. If you are looking for a specif part number, please include it with your message.